A conversation about the artist Jess and poet Robert Duncan who were the center of an underground art scene in San Francisco. The wonderful art-and-poetry press Siglio, has put out Jess: O! Tricky Cad & Other Jessoterica, a book of Jess' unbelievably intricate collages, and the Pasadena Museum of California Art has an exhibition of the whole bohemian scene.Curator Michael Duncan (no relation) artist Richard Kraft, writer/curator Kristine McKenna and publisher Lisa Pearson join together to discuss the work. 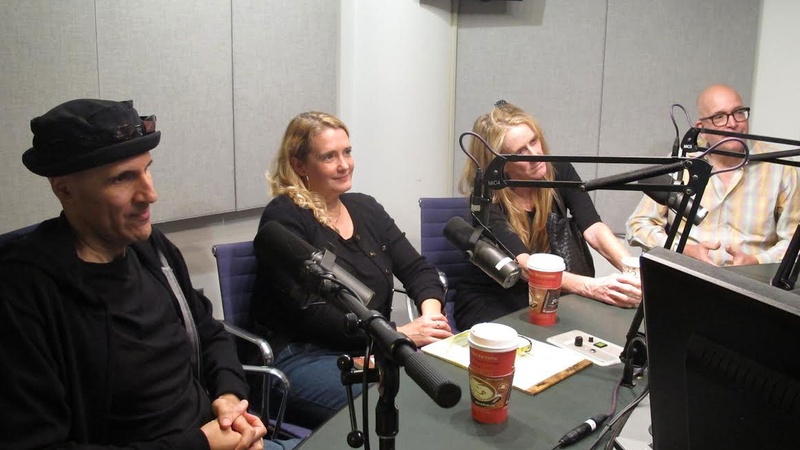 Photo: (L-R) Richard Kraft, Lisa Pearson, Christine McKenna and Michael Duncan in the KCRW studios.